LCC trustee and sustainable transport academic Dr Rachel Aldred explains how LCC's recent AGM motion on speeds and volumes of motor traffic can help local campaigning. This post originally appeared on her blog. Since our AGM on 19 October 2013, I've been asked a few times to explain how the motions passed, specifically Motions 3, 4 and 5, might affect our future campaigning. In particular, I've talked a lot about Motion 3, which was the one that I proposed, and have explained how it might be used in local campaigning. One conversation I had on this topic was at a meeting of Camden Cycling Campaign, who are seeking to use the policy to support a local campaign to get the Outer Circle of Regent's Park closed to through-motor-traffic. New Cavendish Street. No protected space. At peak, busy; off-peak, fast. Either way, unpleasant. On the ‘Cycle Network’ and on my route to work. Motion 3 sets speed and volume criteria in relation to the question: ‘When Do We Need Protected Space for Cycling?’ As I explained when quizzed, the motion’s not intending to stop anyone from cycling on busy roads. Quite rightly, the Mayor’s Vision for Cycling states clearly there’s no agenda from Transport for London to restrict people’s right to cycle on London’s roads, and nor should there be. However, as the Vision also recognises, most people are unwilling or unable to cycle on fast or busy roads. Such roads are a key barrier to increasing cycling levels and broadening the cycling demographic. Hence my view that cycling advocates need a clear benchmark defining what counts as ‘fast’ and ‘busy’ in the context of scheme proposals, and that’s what Motion 3 and accompanying document are intended to do. It tells us as campaigners what levels of speed and volume trigger us to demand change. That change is necessarily protected lanes or tracks; it could also be measures to reduce speeds and volumes. We discussed benchmarks at several Policy Forum meetings and by email. The benchmark chosen for speed is 20mph. This should be actual measured speed at the 85th percentile (a commonly used measure – meaning that 85% of motor vehicles should be going at 20mph or less). Making it an actual speed makes it clear that putting in 20mph limits isn’t enough, if these are ignored by drivers. The benchmark chosen for volume is 2000 PCU (Passenger Car Units – a size-based measure) per day. According to TfL figures, a car or taxi counts for one PCU, a motorcycle 0.5PCU, a bus 2 PCU, and an HGV 2.3 PCU. I think this metric is too low for motorcycles and HGVs; HGVs in particular create massively elevated risks for cyclists. I’m pushing TfL to be a leader here (ahead of the Dutch) and start using a risk-based metric; until then, I suggested LCC sticks with PCUs but raises additional concerns where HGV volumes are high. These definitions make sense if we’re really aiming for mass cycling: making cycling a choice for everyone, including the little kids riding along with their mum, the disabled couple on adapted bikes, the wobbly teenagers coming home from the pub, my colleagues at work who hate the Tube but refuse to ride on New Cavendish Street. Of course, many of us who cycle now experience motor traffic volumes and speeds far in excess of this, even on the ‘cycle network’. In Westminster, there’s a stretch of Sussex Gardens not far from my work, which I use if I need to get to Paddington. It’s signed and on the London Cycle Network, and it's traffic volumes are nine times over the 2000-PCU limit – and you feel it. 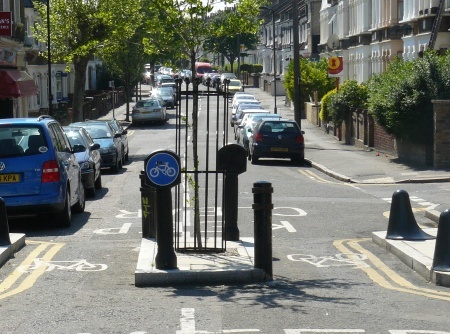 So simple, so effective: a Hackney street closed to through motor traffic, but open to people on bicycles and on foot. So the definitions are in one sense moderate, and yet also so far from what we have now. But I think it’s time to be clear about what we want. The motion doesn’t say activists should always demand protected space (defined as full segregation, as in the new CS2 extension, or light segregation, as in Royal College Street), if motor traffic volumes and speeds are too high. For many smaller streets, it may be more appropriate to call for measures to substantially reduce motor traffic volumes and speeds. Some of the nicest parts of my own commute are on quiet Hackney streets where through motor traffic has been eliminated, meaning I’m mostly sharing the road with other people on bikes. As two of our 2014 campaign asks have it (as affirmed in Motion 4), we may well be after ‘dedicated space on main roads’ plus ‘areas without through motor traffic’ either side of the main road. So, faced with a potentially problematic scheme proposal – such as a ‘Quietway’ that isn’t Quiet – how do you use the ‘20mph – 2000 PCU test’? Obviously, we need to know what current volumes and speeds are. 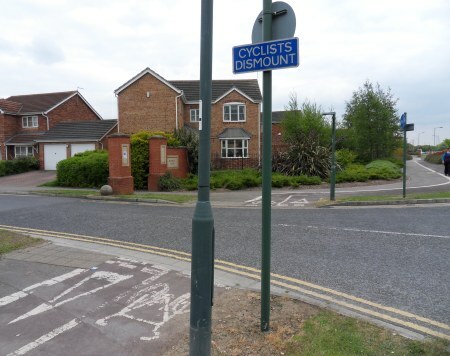 If either of these fail the 20mph-2000 PCU test then – assuming cyclists are not given protected space – there must be clear measures proposed to ensure that volumes and/or speeds will be reduced to acceptable levels. Scheme proposers should say what the current speeds and volumes are: they sometimes do, but not always. If not, you have several options. If it’s a major road, there may be volume counts available online at the DfT website. Go to the borough page and then to the ‘interactive map’. Counts are presented as AADF, ‘Average Annual Daily Flow’, (this useful document from the DfT provides more detail on methodology) so you immediately have a daily figure for different modes. You can calculate the daily PCU flow using the multipliers above, and see if it’s over 2000. 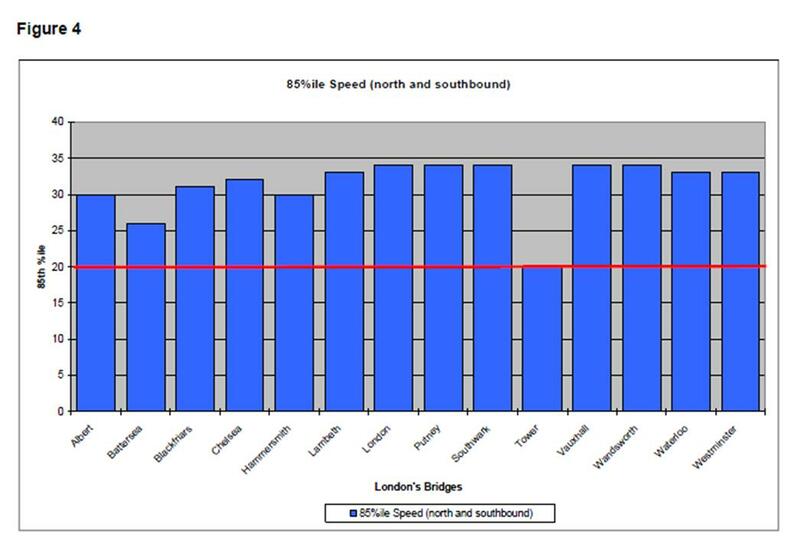 Table 4 from the report, on 85th percentile speeds on London’s Bridges. Speed figures, unfortunately, aren’t published in the same way even on major roads. There are a few publications, for example in this 2008 report on speeds on London’s bridges. If there’s no data provided, or available online, you can ask a sympathetic borough officer to provide speed and volume figures: in many cases, these are monitored by TfL and/or boroughs, but figures are not routinely made publicly available. You could make a more formal request, asking for it to be treated as an FOI, if need be. Or – and if you have time, it might be worth doing this too – you can do your own volume counts to give a rough initial estimate. Half an hour counting the four main types of motor vehicle (car/taxi, bus, HGV, motorbike) at peak time will give you an estimate that you can convert to a daily flow. Transport for London provides conversion factors in a document called Traffic Note 2: Expansion factors for road traffic counts in London which I’m trying to locate and share – although this is only for TLRN main roads. But in the meantime, you could multiply a half hour peak PCU count by 20 to give a rough index of daily flow, and how close or far from 2,000 it’s likely to be. So hopefully, you have some figures both for 85th percentile speeds, and for annual daily flows. What happens if one or both are too high? You can see whether there are changes planned that are likely to reduce the figures to acceptable levels; for example, in terms of speed, this might be a speed limit alongside streetscape changes and plans for enforcement. For motor vehicle volume, it might be plans for modal filtering; closing the road to through motor traffic, which is likely to reduce flows to under 2000 PCU. But if clear and convincing plans are not in place to meet or better the 20mph-2000 PCU threshold, I recommend objecting on these grounds. You might even want to object where a scheme is in line with the threshold, in some cases. This might be in terms of likely cycle use (e.g. where a scheme’s on a route to a school), or motor traffic composition (e.g. 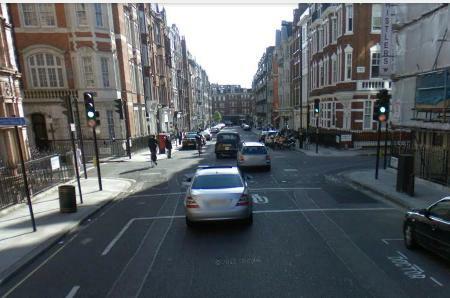 where there are more than a small number of HGVs, which pose such a high risk to cyclists). While 20mph-2,000 PCU is ambitious compared with what cycling in London is currently like, it’s not that ambitious if we’re expecting mass cycling among children, or to ensure that no more cyclists are killed by HGVs. The nice thing about 20mph-2000PCU is that it allows campaigners to be flexible about solutions. The right answer, depending on context, could be blocking through motor traffic, creating a cycle-only street, or building a segregated track. All can achieve the core aim: of ensuring that people cycling can do so in a comfortable and safe environment. No, nothing like this, please. Of course, whichever is chosen all solutions must be high quality, and the Protected Space document makes this clear. No dodgy pavement conversions that annoy pedestrians, no poorly designed ‘traffic calming’ measures that put cyclists at risk. For design issues, there’s lots of LCC expertise, advice and criteria, while TfL’s new London Cycle Design Standards should also help. Motion 5 passed at the LCC conference states LCC’s belief that all solutions must suit all abilities; so for example, tracks must have space for faster riders to overtake slower ones, and modal filtering (allowing cycle passage but not motors) must be designed to allow wider adapted cycles and trailer bikes through.